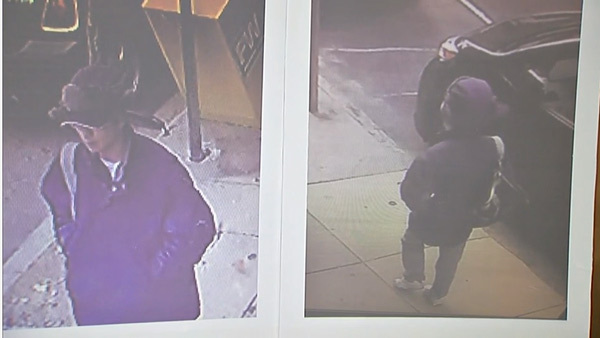 Philadelphia police have released images of a person of interest in connection to the package explosion in Center City. 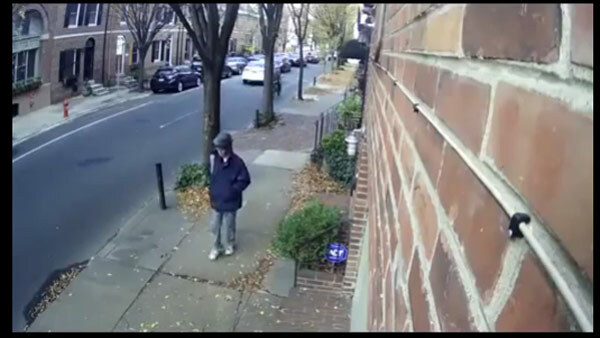 CENTER CITY (WPVI) -- Philadelphia police are searching for a person of interest seen dropping off a package that contained an explosive device at a Center City apartment. 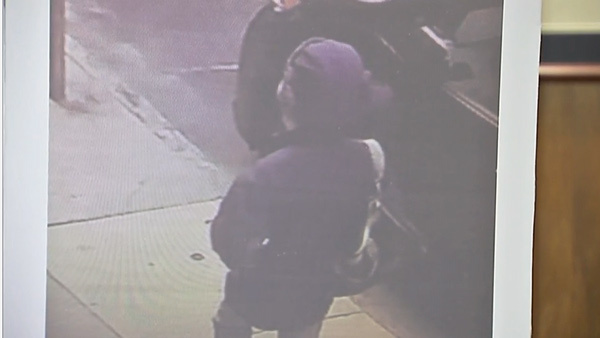 Surveillance of person of interest in Center City package explosion. 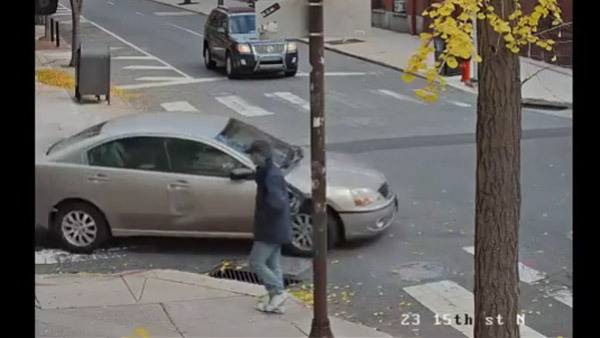 In a Thursday afternoon press conference where authorities released surveillance images, Philadelphia Police Commissioner Richard Ross said the person is not necessarily the one who manufactured the device. Police say it has been confirmed a homemade explosive device was in the package. Authorities say they haven't seen this type of device anywhere in the region before. 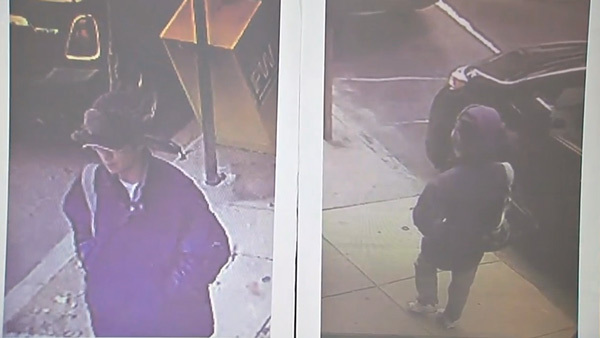 Police are searching for a person of interest. 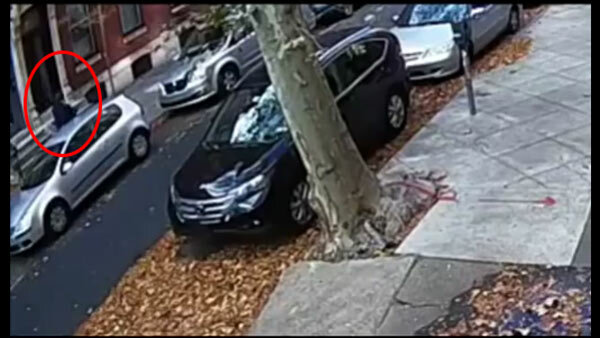 It appears this was a targeted attack, they say, as the package was addressed and delivered to the victim. A reward is being offered up to $10,000 leading to the arrest and conviction of the person responsible. 60-year-old Jim Alden was hit with shrapnel on his face, chest and arms when he opened the letter last Tuesday at his home on the 1800 block of Pine Street. 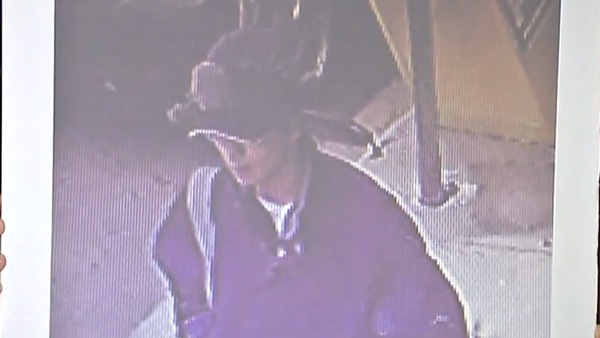 Police say the person of interest had dropped off the package on 9:30 a.m. Sunday, two days prior to Alden opening it up. 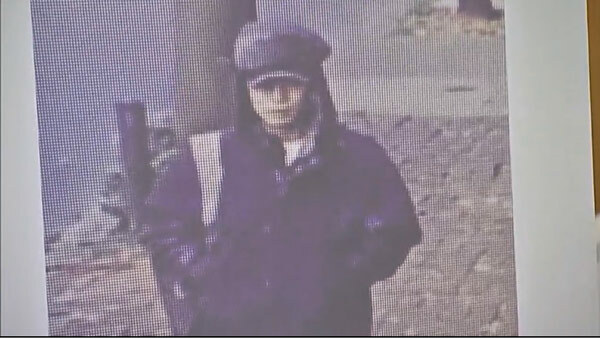 Authorities describe the person of interest as possibly Asian, late teens to early 30s, wearing a lumberjack, 'Elmer Fudd'-style hat with the ear flaps down, with a baseball hat underneath that hat, a jacket with a rip on the left side, blue jeans, possibly white New Balance sneakers, and carrying a large bag with a shoulder strap. 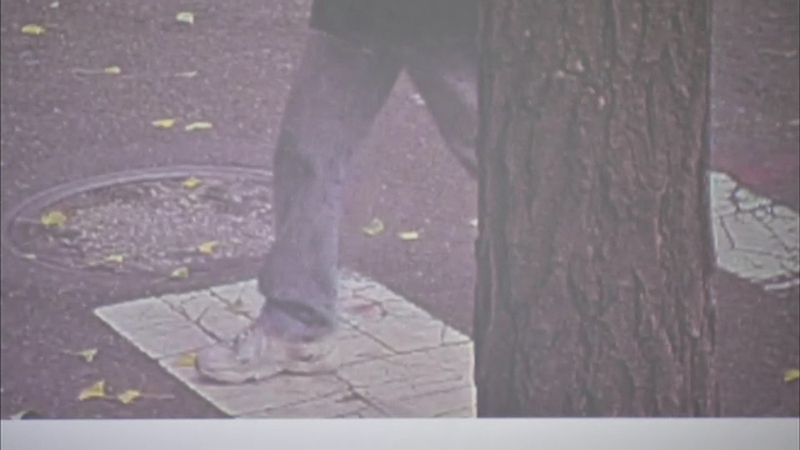 They've tracked him or her on surveillance walking eastbound from 7th and Pine to the victim's home, back down 19th, and then westbound again to 7th and Lombard. "We really do not have a motive to speak of right now," Ross said. 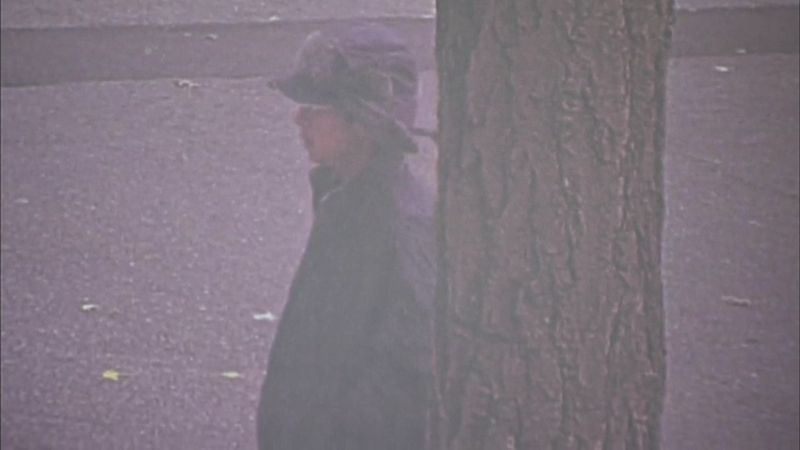 Police say the victim does not know the person of interest. 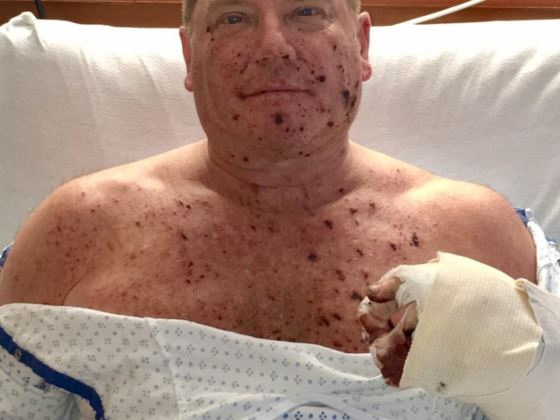 There has been substantial news coverage about the letter bomb that seriously injured me on the morning of November 22, 2016. Now, one week later, I'm happy to be resting at home and feeling a little bit better. My life changed on that day, and I still face more surgeries to deal with the significant damage to my left hand. The "shrapnel" damage to my face, chest and arms is slowly healing, and a blister on my ear drum is affecting my hearing, but is supposed to heal. At this point, I only know that I have a long road ahead of me, and I will likely be unable to work for quite some time. Because I would never want to impede or interfere with the local, state and federal investigators who are working hard to solve this crime, I'm unable to provide an update on the criminal investigation. I will leave that up to those professionals. What I want to say at this point is how overwhelmed I have been at the outpouring of love and support that I've received from my partner, family, friends, and coworkers. Through the YouCaring.com web site, my friends have set up a donation site to help me with medical and living expenses during my recovery, upcoming surgeries, and physical rehabilitation. The comments on this site () are beautifully supportive and inspiring, and the funds raised will be invaluable as I deal with medical expenses and the potential of many months without income. As I go forward in my recovery I know I will continue to rely on the loving care of my partner and my friends, and I appreciate everyone's concern and compassion. The ATF, the FBI, postal service and Philadelphia police are all investigating.